She’s Ace ’19: Casey Wins Her 5th! 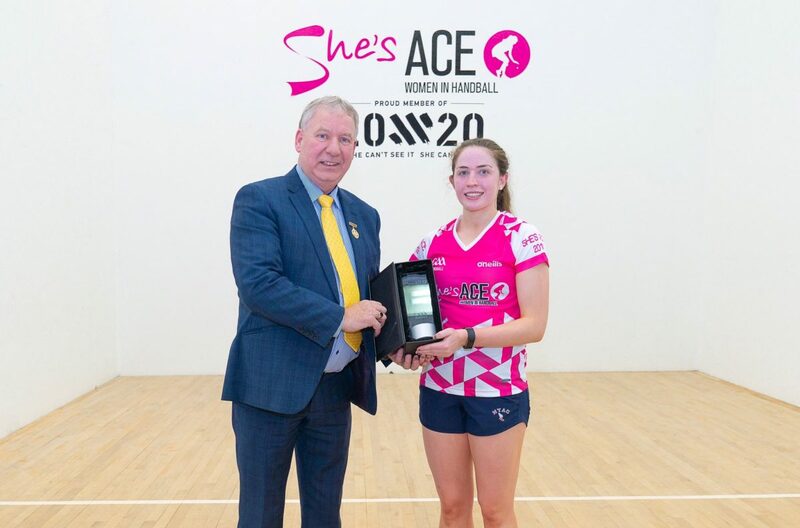 Co. Mayo, Ireland, WPH Press, 1/19/19- GAA Handball presented “She’s Ace” on the third weekend in January in Co. Mayo, Ireland, the first 40×20 Women’s Ranking event of 2019. The She’s Ace event showcased 162 women’s players, making “She’s Ace” the largest 4-Wall women’s event in the world. 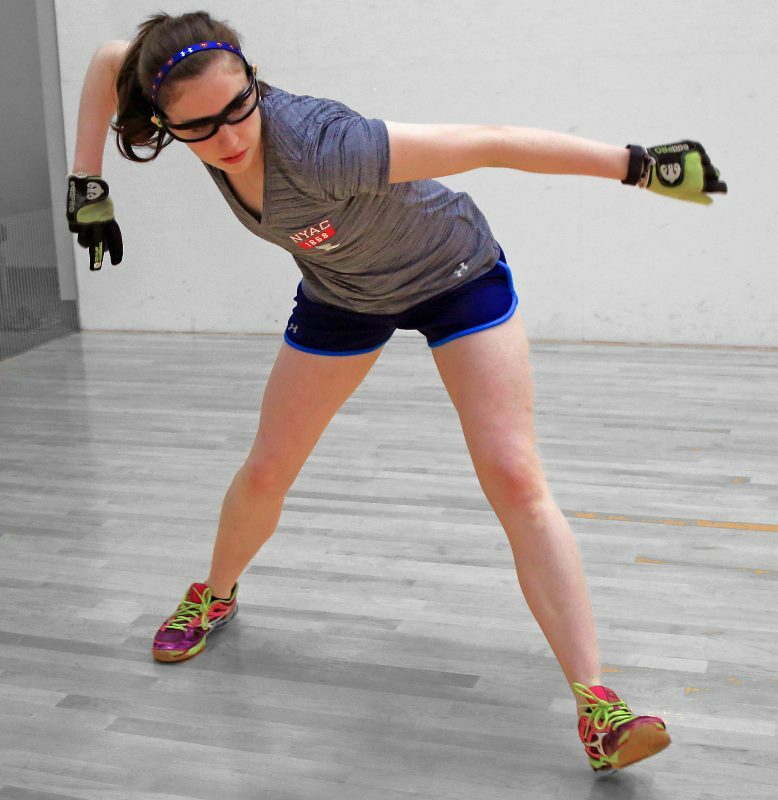 The 2019 She’s Aces featured WR48 #1 and defending “She’s Ace” champion Catriona Casey, reigning GAA All Ireland 40×20 and 60×30 champion and 4-Wall and WallBall World Champion Martina McMahon, Fiona Tully, Ciara Mahon, Pauline Gallagher, and seven additional Irish women’s stars split into four round robin groups in the Ladies Open. Casey and McMahon cruised to Saturday night’s final, with both playing three matches in under 24 hours en route to the first GAA Women’s 40×20 ranking final of the season. McMahon entered the final having defeated Casey in August’s World Championship final, as well as the All Ireland 40×20 and 60×30 finals in 2018. Casey was aiming to become the five-time She’s Ace champion in the six-year history of the event, while also reestablishing herself as the women’s player to beat in Ireland. Game one featured both superstars at the top of her game, with the lead changing hands multiple times throughout the course of the 25-minute first frame. McMahon served for the first game at 14-13 but could not convert, as Casey tied the score at 14 and clinched the game with an underhand lob into the deep right corner that McMahon was unable to return. 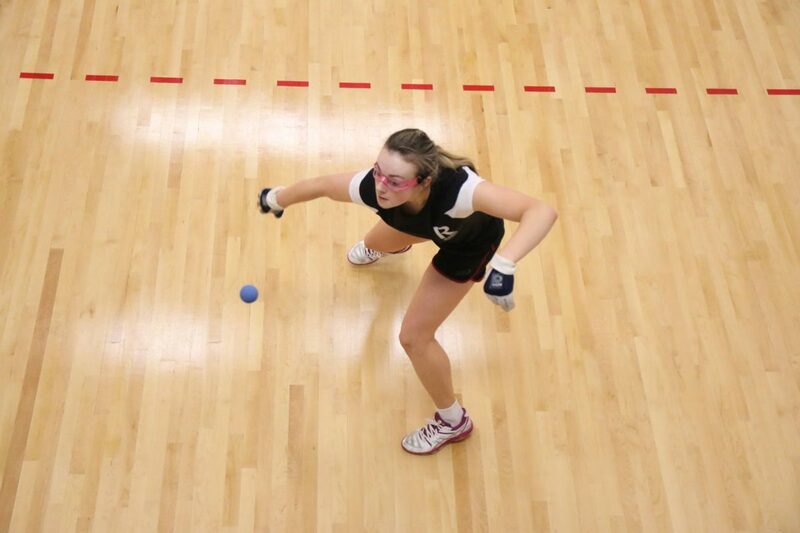 Casey seized control of the match after her game one comeback, taking a 10-2 lead in game two. Casey demonstrated a vastly improved power serve throughout the second game, making contact with the ball just inches off the ground and less than a foot high on the front wall, registering four aces in her first 10 points in game two. Casey’s speed and anticipation was also on display throughout the match, as the WR48#1 was able to dig McMahon’s lowest and hardest shots and float the retrieves into the back of the court, extending a number of rallies beyond 20 shots in the grueling encounter. McMahon added velocity to her serves and rally shots after falling behind in game two, but was unable to overcome the large deficit, falling in two games, 15-14, 15-7. Photo of Catriona Casey with the She’s Ace award courtesy of GAA Handball.